Mandarin Oriental Las Vegas is the only Forbes Triple Five Star Luxury Hotel and it is located in the heart of the Las vegas Strip, with beautiful views of the Las Vegas Strip, the surrounding city and the desert. 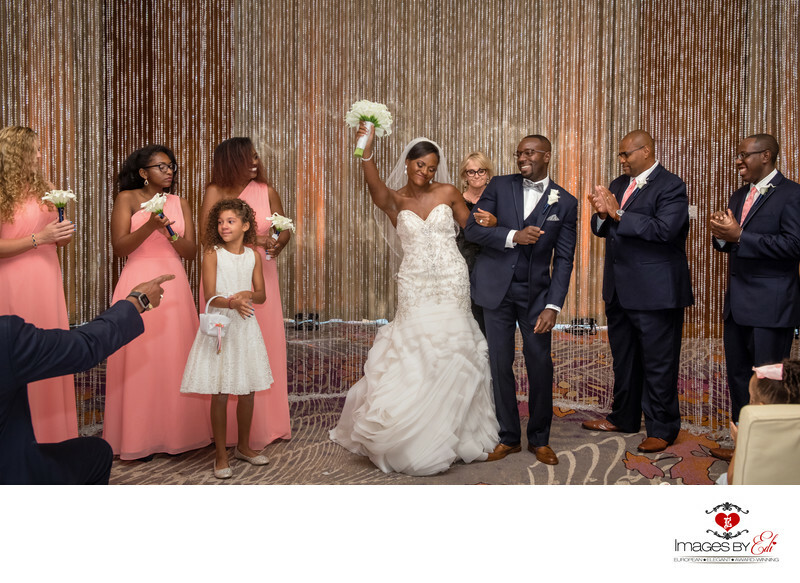 This beautiful wedding took place in the third floor ballroom of the hotel, what was transformed to a traditional, elegant, sophisticated wedding space with floor-to-ceiling windows, overlooking the Las Vegas Strip skyline. During the reception the guests enjoyed the breathtaking views over the city from the intimate outdoor patio as they danced into the evening.